Negotiations among employees, employers and labor experts to set the minimum wage for next year collapsed without agreement Monday, failing to meet a legal deadline. 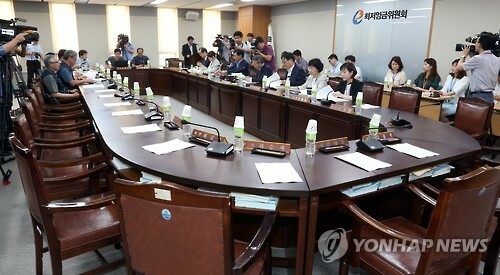 A final meeting of the Minimum Wage Council ended in deadlock, with the business representatives absent to signify opposition to labor experts’ suggestion to stipulate monthly wages in the employment contract. Currently, only hourly wages are written in the contract, which labor experts and laborers in the council view as giving leeway for employers to dodge legal obligations to grant workers paid time off. If monthly wages are stated by contract, employees would be entitled be paid for 48 hours’ worth of labor when working 40 hours a week, they said. Upon the proposal being presented Thursday last week, the business circle walked out of the talks in protest. The business leaders argued that the stipulation of monthly wages in the contract would cause “confusion,” as it fails to represent the unique circumstances of various industries. The council has failed to initiate talks on how much to increase the minimum wage next year as the standoff over the details continued. The labor unions have demanded a 79 percent rise from the current minimum hourly wage at 5,580 won ($4.99) to 10,000 won, while employers have campaigned for a freeze. The Korea Employers Federation has claimed that the minimum wage has risen too rapidly and it needs to be stabilized, voicing concerns over possible job losses and soaring production costs. The nation’s largest trade unions -- the Korean Confederation of Trade Unions and Federation of Korean Trade Unions -- have maintained that the hike would tackle the nation’s income inequality and spur consumer spending. Since the government adopted the minimum wage in 1989, the Minimum Wage Council, a trilateral committee of employers, employees and labor specialists, has set the minimum wage through discussion. This year, the discussion began in early June with an aim to reach a conclusion by June 29. But as the committee failed to reach a consensus within the legal deadline, it will hold extra meetings on July 6 and 7, with plans to put some agenda items to vote Friday. The government will make public the agreed rate for next year’s minimum wage on August 5. PS2: Do you want to learn how to speak in public or start a business? 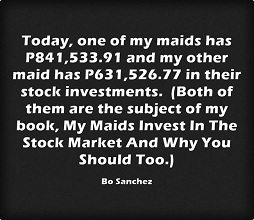 Let me hear from you and lets start our journey with known speakers and businessmen in the Philippines.